The time has come for the Bellissima Gypsies to set off on new adventures! Unfortunately, this means there will be no upcoming Bellissima Art Retreats in 2019 and onward. You can still join both Christi and Chelsea on their own creative endeavors! ​and look forward to creating art with you all in the future! Christi, the founder of Gypsy Studios, continues to offer unique painting experiences throughout the Santa Ynez Valley. Her business is growing and thriving in it's new location in Solvang. She teaches painting in the vineyard experiences, weekend workshops, children's painting camps and so much more in the Gypsy Landing. She hopes to offer more retreats again in the future! Learn more about Christi and her adventures with Gypsy Studios here. Chelsea, the founder of Sketchy Notions, continues to be drawn back to Italy and the allure of the Tuscan sun. 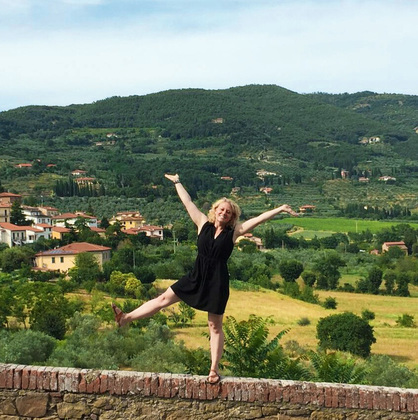 With her new business endeavor, Wanderful Retreats, Chelsea will lead small groups through the Tuscan countryside on week long adventures of creating, eating, cooking and exploring all the charms and wonders of Italy! She hopes you'll be able to join in on an unforgettable adventure! 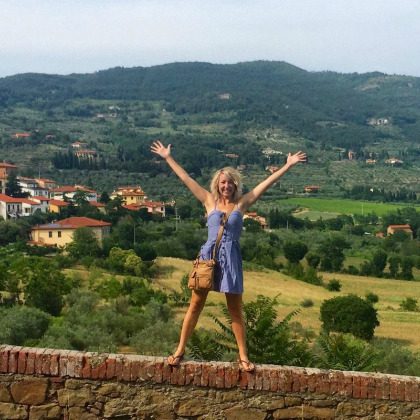 Learn more about Chelsea and her Wanderful Retreats here. ​Spark your creativity, try something new, and make a memory that will last a lifetime. Christi & Chelsea are the gypsies behind Bellissima Art Retreats. 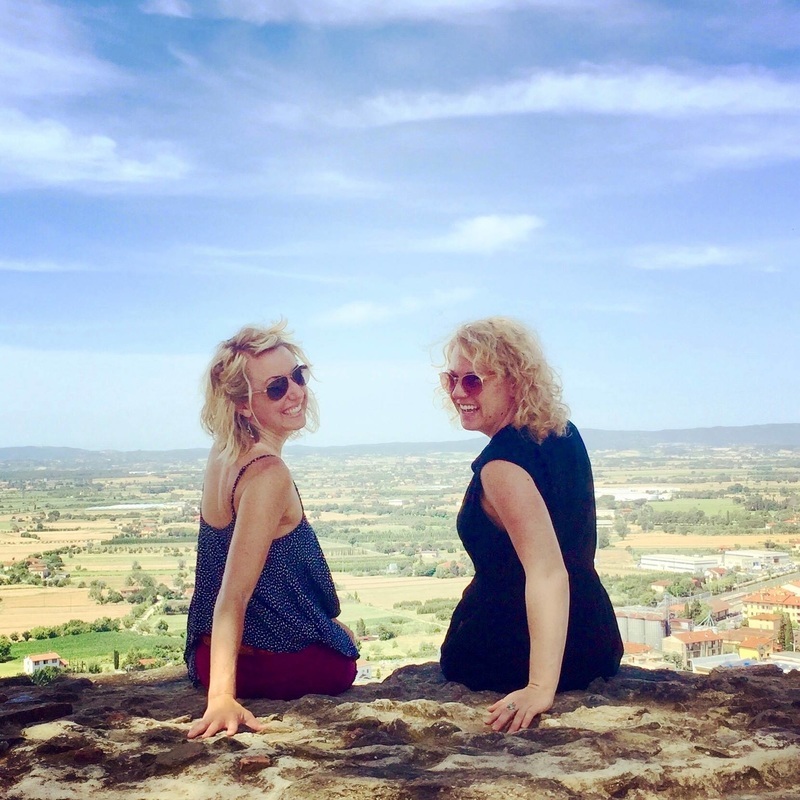 With a joint love of art making and everything Italy, these two curly blondes will lead you through the Tuscan hills and California wine country and to your next great masterpiece! Christi is the founder of Gypsy Studios Art, a full service art studio on wheels that leads participants through painting the vineyards of California. One glass of wine at a time. Chelsea is the founder of Sketchy Notions, a line of watercolor cards, prints, calendars and more. She also has taught classes on watercolor, sketching, and even some book-making and printmaking. ...because you get to tell us what you want. You read that right. Our goal is for you to make every second count, so we specifically craft your retreat experience based on input from you. Why? Because it’s your retreat! More alone time? Less alone time? More art and wine? ​What looks like bliss to you? If you need instruction, that is. We know some of you just want to be released to do your thing & by all means, we will release you. BUT, if you fall more into the "I love the idea of an art retreat, but I may or may not be artistically inclined"...we got this! We love to teach beginners--in fact, we do it for a living. Just ask any of our fans and students. We know the ins & outs of international and domestic travel. You don’t have to think or worry about all those pesky details. We do it for you! Our travel savvy makes for a smooth and stress-free experience for our guests. ​We are just that cool. No, but really. This gives us invaluable insight on how to navigate the language (Chelsea speaks fluent Italian! Christi's...uh...working on it--"sto imparando"), culture, and find the hidden treasures of the Italian country, villages and coastlines that will make your retreat totally brag-worthy. Duh. Isn’t it obvious by now? Seriously though, we are easy-going, we love to laugh, we welcome adventures, and we adore people. We balance each other well--a perfect mix of spontaneity, planning, history, and awesome tour guide, with a dash of practicality. Whether it’s the Central Coast of California or the rolling hills of the Italian countryside, we have an intense appreciation for beauty, history, and the transformative power of making space for creativity and an intention of reviving the real you. Oh, and FOOD. We love good food. Ready to discover your bliss? ok, send me the deets!